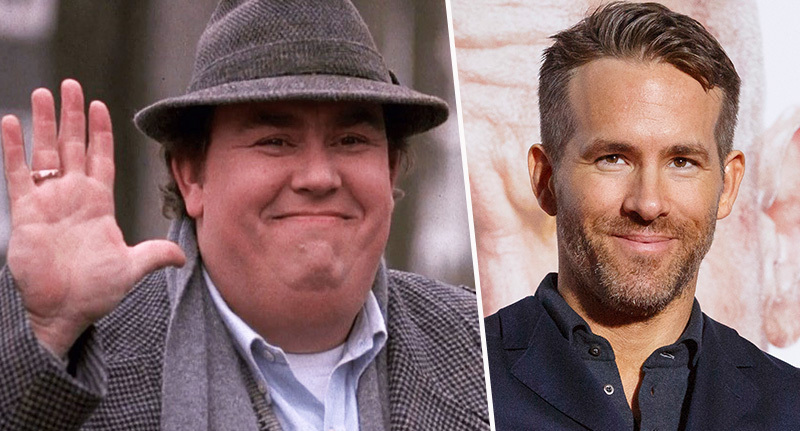 From one cool Canadian to another; Ryan Reynolds just posted a heart-warming tribute to the late, great John Candy. If his name doesn’t ring a bell, his face and the films he’s worked in will, almost immediately. From Cool Runnings to Uncle Buck by way of Home Alone and Planes, Trains & Automobiles, Candy contributed to some of the most beloved films in modern history. The Newmarket native died, aged 43, on this day in 1994 from a presumed heart attack. However, his official cause of death according to coroners has never been published publicly. But 25 years on and his legacy is still remembered by those who’ve followed in his footsteps – like Ryan Reynolds, for one. Reynolds, who also hails from Canada, is a huge Candy fanboy and even references the character Candy plays in the 1987 John Hughes comedy, Planes, Trains & Automobiles. He brought a particular charm to Del Griffith, an obnoxious but lovable shower curtain ring salesman who accompanies Steve Martin’s character, Neal Page, on his long journey home. Reynold’s superhero character Wade Wilson reads the same book in Deadpool, the same book Candy reads in Planes, Trains & Automobiles. In another homage courtesy of the 42-year-old actor, he posted a compilation video of Candy’s highlights reel to Twitter to remind the world of the late talent’s wonderful comic timing and charisma. It’s the 25th anniversary of John Candy’s passing. We cooked up a small tribute to a comedic genius and Canadian hero. If you haven’t seen much of his work, take a look at his films. He was a treasure. Thanks to @chriscandy4u and @therealjencandy. Reynolds worked with Candy’s daughter to collect all her dad’s best work. This made me cry. It’s so amazing and sweet! Thank you, 25 years tomorrow. Wow. He has so many people that absolutely love him, he was one of the best. The video hits all the familiar titles: Home Alone, The Blues Brothers, Stripes, National Lampoon’s Vacation. There’s also deeper cuts like Who’s Harry Crumb?, Brewster’s Millions, Summer Rental, The Great Outdoors, Only the Lonely, and Armed and Dangerous, the latter of which paired him with fellow Second City Television (SCTV) alumni Eugene Levy. Thousands of people have commented on the video thanking Reynolds for posting the clip, as well as reminiscing about their favourite Candy moment.